Raleigh, North Carolina is growing into such a wonderful city, with great people, great food, great beer and an amazing atmosphere! Operating a limousine company throughout The Triangle has been a wonderful experience and has helped us learn so much about this wonderful area. We have the privilege of helping people plan their much anticipated nights out for their special occasions. We have compiled a list of the top 5 most popular destinations people travel to in Raleigh when renting a limousine. Once the location of The Raleigh Times newspaper, this now renovated restaurant and bar is one of the most popular locations in downtown Raleigh throughout the weekend. 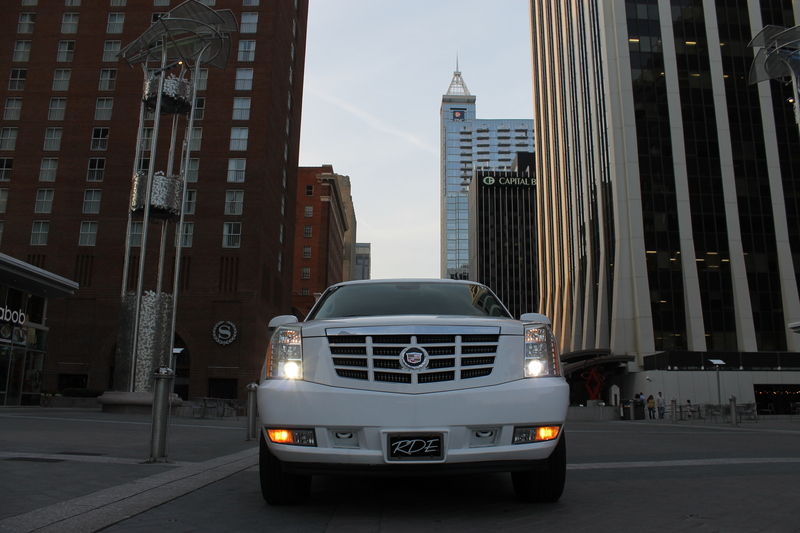 We see The Raleigh Times listed on just about 40% of our limousine itinerary forms submitted by clients. The great food and huge list of local beers is a big attraction for people looking to go out and have a good time. If you have not been to The Raleigh Times, you must check this place out! We grouped these two together, as they are both a popular destination for mostly the same reason: Concerts and some hockey games. Some of the biggest names have headlined at the PNC arena, from Bon Jovi and Taylor Swift to Garth Brooks and Katy Perry. There is nothing more exciting than seeing a big name, live in concert at the PNC arena. Lets not forget about the Carolina Hurricanes. Although they have been struggling, we cannot forget about 2006 when they won The Stanley Cup! Not all teams can say they have done that. The atmosphere at a Carolina Hurricanes Hockey game is awesome. If you’re a season ticket holder or you just go to one game a season, its always fun to rent a limo for the game! First opened in the summer of 1960, The Angus Barn has become a household name throughout Raleigh and The Triangle and they are known for their amazing food and topnotch service. Many of our wedding clients that rent a limo, have their wedding at the beautiful Pavilion at the Angus Barn. Aside from weddings, a lot of clients will rent a limo simply for a night out and dinner at the Angus Barn. Whatever the occasion may be, the Angus Barn is a great place to have a wonderful meal! Are you looking to let loose? Solas Night Club is your place. Solas is the most popular Night Club that client’s request as a destination when renting a limo in Raleigh. With three floors, a state-of-the-art sound and lighting system, great DJ’s and awesome drinks, you will be sure to have a blast at this spot! This place is a highly requested destination and one of my personal favorites! Kings has it all. Bowling, pool, ping pong, and more. Plus, multiple bars, great food and giant T.V.’s with all of the big games on, you can’t beat this place. Bowling at Kings isn’t like bowling at an ordinary bowling alley. With glow in the dark lanes, this is a one-of-a-kind bowling experience. Our limousine clients absolutely love this location and it has been a very popular destination over the last 2 years. These 5 locations are the most requested destinations by our limousine rental clients. When renting a limo in Raleigh, be sure to consider traveling to one of these locations to ensure your special occasion is an absolute blast! For more information on renting a limo in Raleigh, navigate through our site or give us a call for more information.